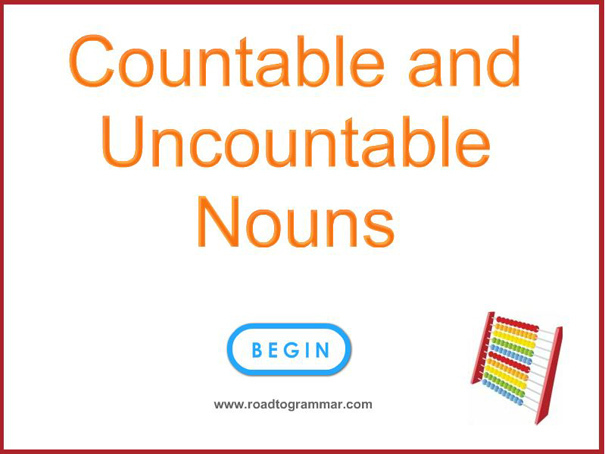 A fantastic, detailed lesson on understanding the difference between countable and uncountable nouns. There are 12 individual categories to work your way through, with explanations and examples. Each key grammar point is followed by a 20-question exercise where you can test and grade your understanding.